I’ve just created a new page on our site called, Ministry Partners! We’ve received a number of positive comments about the ministries that we are partnering with, so I wanted to make it easier for people to learn more about those ministries. Habor Mid-City’s video clip about their story has gotten a lot of people excited about what we are doing. It gives a great picture of what the Lord is doing on the Border, and what we are praying for and envision seeing in the future. One of our prayer and financial supporters who’s been with us for almost 20 years told me recently, it encouraged him and got him excited to hear about what we are doing, and to learn more about the ministries that we are partnering with. I frequently find myself directing people to Harbor Mid-City’s video clip. Now you can just go directly to the Ministry Partners page on our blog site, and the video clip is right there. You will want to check it out if you haven’t seen it yet. I also posted a video interview that I did with Daniel Nunez. 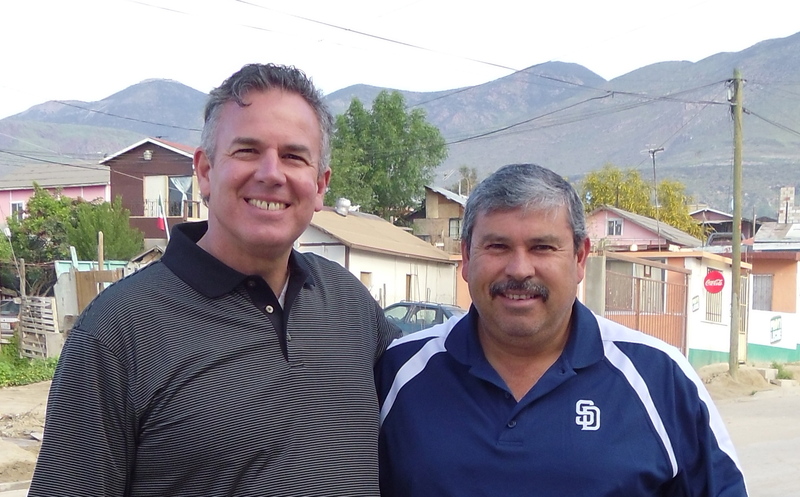 Daniel is extremely gifted, and the Lord is using him in some amazing ways as he leads a church planting movement in Tijuana. We are going to provide a conference called, “Living in Grace” in November for those in Daniel’s churches. It’s a way for us to encourage those he is ministering to, and to strengthen them. The Living in Grace conference focuses on the importance of our living as sons and daughters of God rather than as orphans. We believe as people grow in their understanding of who they are in Christ it will radically change the way they live. Bill Yarbrough, Mission to the World’s, International Director for Latin America and Africa will be leading the conference. Bill served as a missionary in Mexico before assuming his present position with MTW. He speaks Spanish, and has a great understanding of Mexico and the people of Mexico. Bill just informed me he is going to bring Andres Garza with him. Andres is MTW’s movement leader for church planting in Monterrey, Mexico. He is a real visionary leader. We want to be able to learn from each other as much as possible, and look at how we can encourage one another in reaching Mexico and the Border for Christ. I appreciate the fact that you made the focus of the conference about our identity in Christ, rather than our identity in this life. It is such an important reminder of who we are and what Christ has done for us. I ill pray that Daniel’s church planting movement would continue to grow and become focused on teh grace of God. Keep it up brother! Thank you for your prayers and encouragement. We can’t survive without prayer. Yes, I agree our identity in Christ is key, and too few are well grounded in this truth. Home Base – It’s Important!